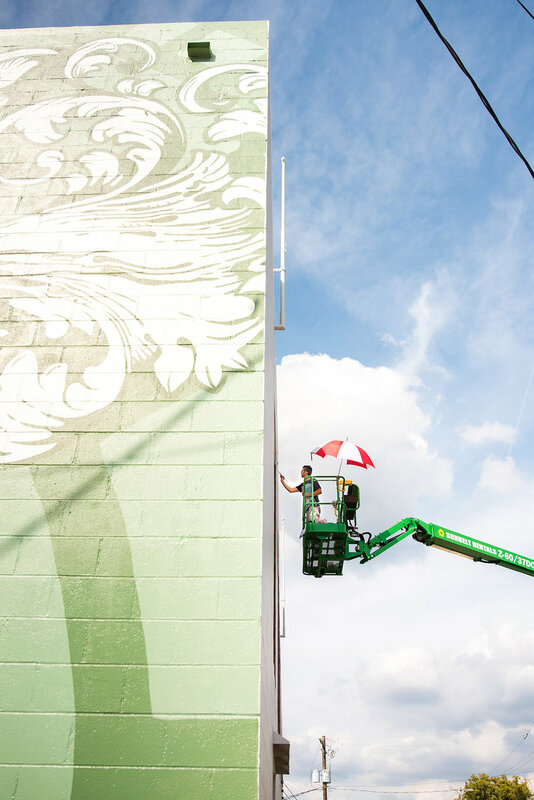 Services: Sign painting, hand lettering. 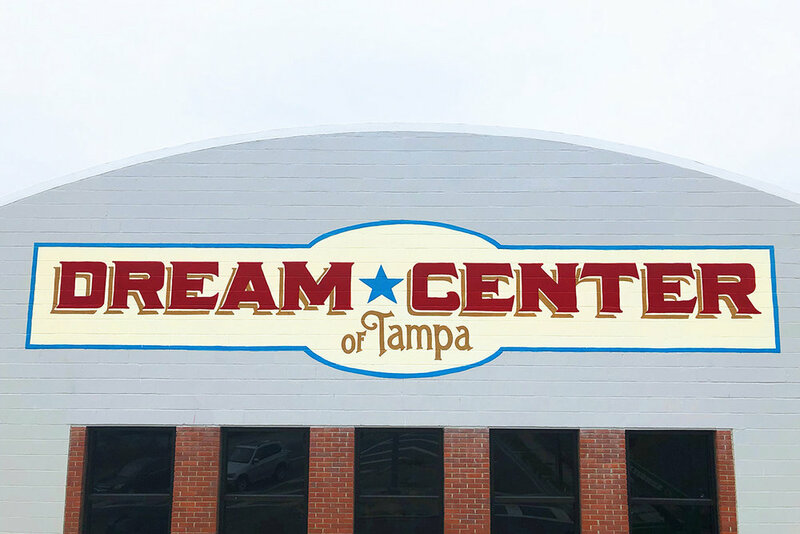 Dream Center of Tampa is a community center offering programming in education, sports, life skills and the arts for the local youth. I was commissioned to hand paint their logo sign on the front of the building's entrance. The sign was hand painted using traditional sign painting techniques with colored shadows, painted with 4-colors on stone and concrete texture, measuring approximately 35ft long. For your signage needs, drop me a line and let's discuss your project.